Autel Powerscan PS100 sales at the price of 83.99EUR on www.eobdtool.co.uk and more than 200Pieces in stock. Autel Powerscan PS100 is worth to have after you read the following feedbacks. Ireadutomotive tech by trade and bought this to use in troubleshooting electrical shorts in automobiles. 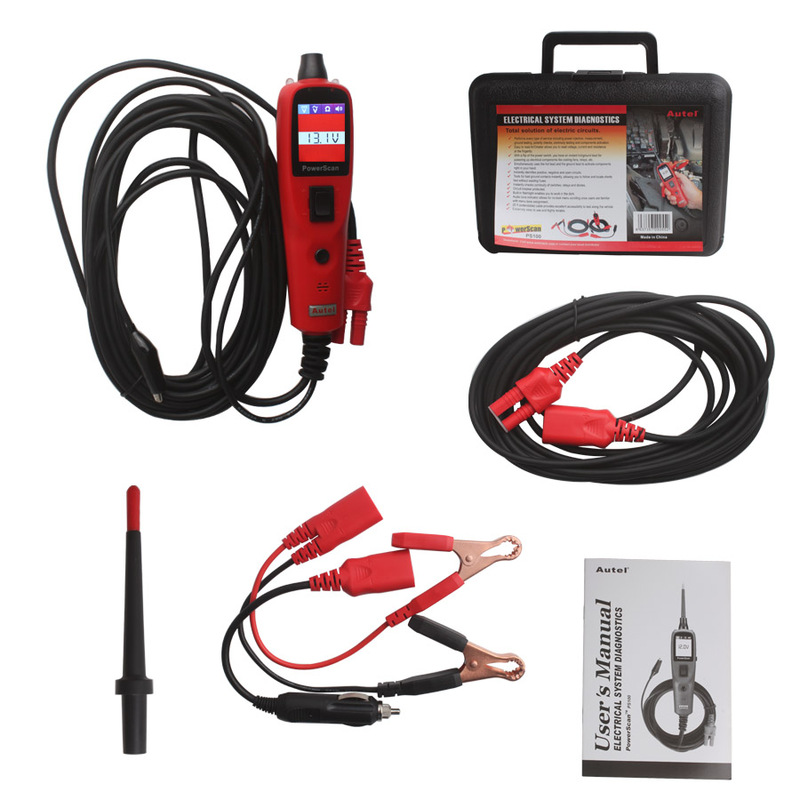 I have used the power probe in the past but the Autel Powerscan PS100 has one particular feature I was interested in. This has a kinda scope feature that can really be useful when troubleshooting sensors on the fly along with a very bright and easy to read screen as well as a ohm meter it had me curious as to how good it is. So far it has been very useful and works well , I don’t need a separate meter for certain testing and it has been accurate in testing. I did find a strange operation about it though. When probing a circuit that lets say has ground to it then when activated goes hot , the PS100 shows the circuit go to hot (12volt) but also shows ground as well. Pretty strange but idk if it made to do so. The tool itself seems well built but the cable to me seems a little thin and not as thick if a gauge as the power probe. All in all I think it’s a great tool for the features and price point , I only hope it lasts just as long as I expect or will it fail too soon. I will update in the future as to its durability and operation. I have never been so impressed by such a reasonably priced tool. A friend of mine bought a similar “powered probe” device, and I was impressed. I bought Autel Powerscan PS100 because the point oscilloscope feature seemed useful. I made the right call. Seriously, buy this tool. This one. It comes in a nice case, with the pieces you need. It pays for itself before the mechanic has even diagnosed the problem, and will help you figure out if your weird jury-rigged solution will work before you put everything back together. I feel like I should write the engineers a check because I’ve gotten so much use out of it.